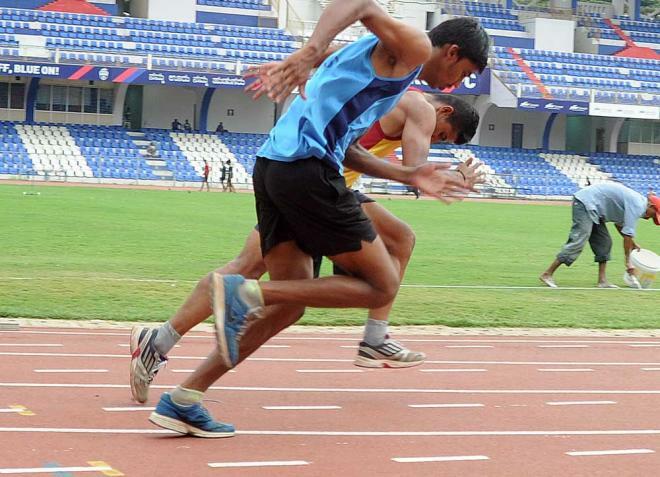 Government has taken a major step to encourage sports in India. On 10th August 2017, Bill was introduced in the Lok Sabha to set up a National Sports University. The aims and objectives of the Bill states that the National Sports University will be the first full fledged sports university in India of international standards. It is proposed to be set up the university Manipur with focus on the creation of a high standard infrastructure for the development of sports sciences and training of athletes apart from offering multidisciplinary studies and award of degrees and certificates. It will also conduct research and training of athletes in various areas pertaining to sports. Skill Development Ministry is to strengthen its skilling framework plans to establish a national-level standards body for skills training. The body will be equivalent to its main education body, the Central Board of Secondary Education. Skill Minister Shri Rajiv Pratap Rudy while talking to media persons mentioned that there would be central certification system that will allow youth to move from skilling to education and vice-versa. Odisha government has launched ‘She Means Business’ programme of Facebook for women entrepreneurs. The aim of this programme is to reduce the digital divide and empower nearly 25,000 women entrepreneurs and SHGs by giving them training on digital marketing skills within next one year. Facebook will also make a database of entrepreneurs in the state and will monitor their growth, turnover and profit after one year. Women entrepreneurs will get hands on training on digital marketing free of cost and they need not create their website to promote their business. The platform will also facilitate vertical integration. Cabinet has approved a single corpus fund for secondary and higher education with the name of Madhyamik and Uchchtar Shiksha Kosh. All the proceeds of secondary and higher education cess will be credited and utilised for the government’s schemes in education sector. The expenditure from MUSK will be financed only after current Gross Budgetary Support to Education is exhausted. The Human Resource Development Ministry will be responsible for administration and maintenance of the account. The Economic Survey 2017, tabled in Parliament on Tuesday, projected that the country’s gross domestic product (GDP) will grow by 6.75 per cent to 7.5 per cent in in 2017-18. The mid-year survey of the economy was released by Prime Minister Narendra Modi’s chief economic adviser, Arvind Subramanian. According to the Survey, redistribution by the government is far from efficient in targeting the poor. However, at the level of the states, competitive populism is more in evidence than competitive service delivery. Also, there has been an improvement in the financial position of states over the last few years. The Survey has advocated the concept of Universal Basic Income (UBI) as an alternative to the various social welfare schemes in an effort to reduce poverty. The Law Ministry has approved a revised Cabinet proposal on the creation of the Financial Data Management Centre (FDMC) that would subsequently collect raw data directly in electronic format from the (financial) regulators. Over time, it will gradually build capacity to collect data from the regulated entities i.e. Financial Service Providers. FDMC will be set up through an Act. However, it has received opposition from the Reserve Bank of India (RBI) as it would now no longer be the sole collector and custodian of financial data. The RBI is also against sharing raw data that it gets from banks and other market sources with FDMC as it is not obliged to share confidential client information of banks with anybody. Cabinet has approved a new Metro Rail Policy that defines the relationship between Centre and State for a new Metro Project. According to the policy, States should have private participation and ensure last-mile connectivity through feeder services for a catchment area of 5km. States will need to adopt innovative mechanisms like value capture financing tools to mobilize resources for financing metro project. states will get powers to make rules and regulations and set up permanent fare fixation authorities. National Highways Authority of India launched two mobile Apps – MyFASTag and FASTag Partner to facilitate the availability of FASTags for Electronic Toll Collection. The mobile Apps will ease the process, making it possible to buy or recharge FASTags at the click of a mobile button. A consumer can purchase or recharge FASTags on this App. The App also helps to keep track of transactions and provides for online grievance redressal. In addition to the above, FASTag can now be purchased online from Issuer Banks websites / NHAI website / IHMCL website and will be delivered by courier at the door step of the purchaser. On 70th Independence Ministry of Defence launched an online portal dedicated to the gallantry award winners, bestowed since Independence. The website gives details of the Chakra Series awardees i.e., Param Vir Chakra, Maha Vir Chakra, Vir Chakra, Ashok Chakra, Kirti Chakra and Shaurya Chakra. The Ministry has welcomed feedback or suggestions. The portal can be accessed at http://gallantryawards.gov.in. The first phase of National Cyber Coordination Centre, set up to scan the country’s web traffic to detect cyber security threats, has been made operational now. NCCC, a multi-stakeholder body, will be implemented by Indian Computer Emergency Response Team (CERT-In) at Ministry of Electronics and Information Technology. NCCC scans internet traffic coming into the country to detect real-time cyber threat and alert various organisations as well as internet service providers for timely action. Pashu Sanjivni component under National Mission on Bovine Productivity scheme was initiated by the Government in November 2016. Under the scheme, as on date 85 lakh milk producing animals have been identified and their data has been uploaded on Information Network on Animal Health and Productivity (INAPH) database. Under the scheme, 88 million milk producing animals out of 300 million cattle and buffaloes are being identified using polyurethane tags with 12 digit unique identification (UID) number. The Pashu Sanjivni is crucial for control and spread of animal diseases, scientific management of animals, enhanced production and productivity, improvement in quality and increase in trade of livestock and livestock products. The Centre has brought out an online database of more than half a million hectares of land assisting industry. The Geographic Information System-enabled database also has details of close to 3,000 industrial parks/clusters, as well as area-wise availability of agricultural/horticultural crops, and mineral production. The database is being developed by the Department of Industrial Policy and Promotion (DIPP) and the National e-Governance Division in the Ministry of Electronics and Information Technology as well as the BISAG – an institute for space applications and geo-informatics under the Gujarat Government. The exercise is to eliminate the information asymmetry that is currently adversely affecting the country’s industrial policy-making and investments in the manufacturing sector. A telemedicine project started by an Odisha-based social entrepreneur is slowly going national after the Central government adopted it as a model project two years ago. Through this micro-entrepreneurship programme the government attempts to tackle unemployment and bad health. Started in 2009, the unique model that focuses on sustainability involves training of local youth in e-medicine services and enables them to set up e-health centres in government-run primary health-care centres (PHC), community health centres (CHC) and subdivisional hospitals. These centres have created job opportunities for over 500 youth in Odisha and reached out to over five lakh patients. Under the project, local youth are trained for a month in an e-health assistance programme, after which they can apply for a bank loan to start an e-health centre in PHCs and CHCs. These telemedicine centres also create a database of personal health records of every patient walking in for future reference.